What's the Deal with Composting? Home/Welcome to BUR-HAN!/What’s the Deal with Composting? Composting must be done well, if it is to serve its purpose; if you don’t do it well, it won’t turn out well, nor will it grow things well. It is best to think of compost as food for the soil’s microbiology, rather than as a way to massively alter your soil’s composition- unless you are trying to grow veggies in clay. Ideally, unhealthy soil will repair itself wonderfully when grass is allowed to grow in it, un-manicured, for a few years. But this is not feasible for most city-dwelling gardeners. So then what? How can you use composting to help soil repair itself? First of all, do not swallow the pill that says that all composting is good. Nor that if it’s good, more must be better. Not true. A lot of home/garden compost has a ratio of carbon to nitrogen (C:N) that is too high, and is deficient in some minerals. Bringing in materials to add to your compost bin needs to be of a known source and composition; otherwise, diseased material and unwanted weed seeds may be sneaking into your yard. (By the way, when asked, the City of Vancouver will send you a copy of the analysis report on the composition of their compost). When purchasing compost, be careful. Much of what is sold as compost these days is great for under your ornamentals shrubs, but not great for growing vegetables or food. Over the next several weeks, I will share more of how to compost- from building, to layering, to watering and stirring, to finally, using it- but also some more of the why. Some people fret about the toxins that may be in their compost- e.g. pesticides off the banana peels that were added. But, honestly, our bodies can easily handle the toxins when we are feeding them nutrient-rich food. Toxins cannot be avoided; but sickness from them can- when we are eating high-quality, nutritious food. In the meantime, locate yourself a compost bin for your yard. 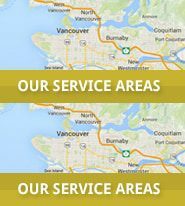 You can buy a cheap compost bin from the city of Vancouver, and other municipalities in the Lower Mainland will also sell you one for $25-30. Ask your local city hall.